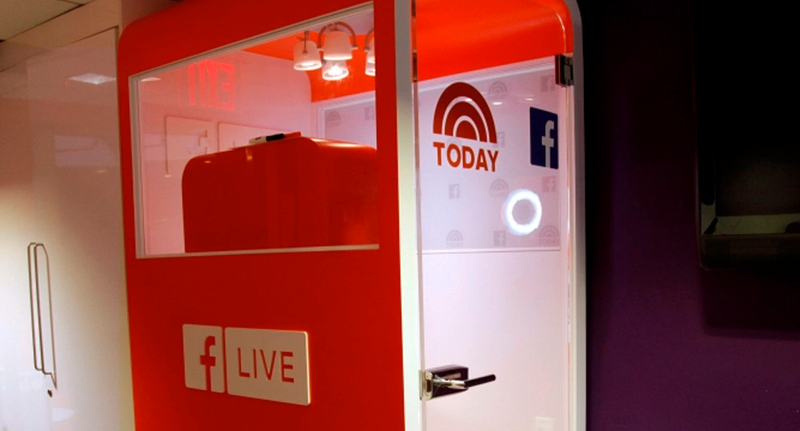 NBC News‘ “Today Show” has added a booth with an iPhone hookup to a Facebook Live stream. The new booth, located in the show’s green room, will allow guests, who often spend several hours at the Studio 1A complex for just a few minutes on air, to appear on the show’s Facebook page. Topics can range from question and answer formats or stem from a list of conversation starters posted inside the booth. 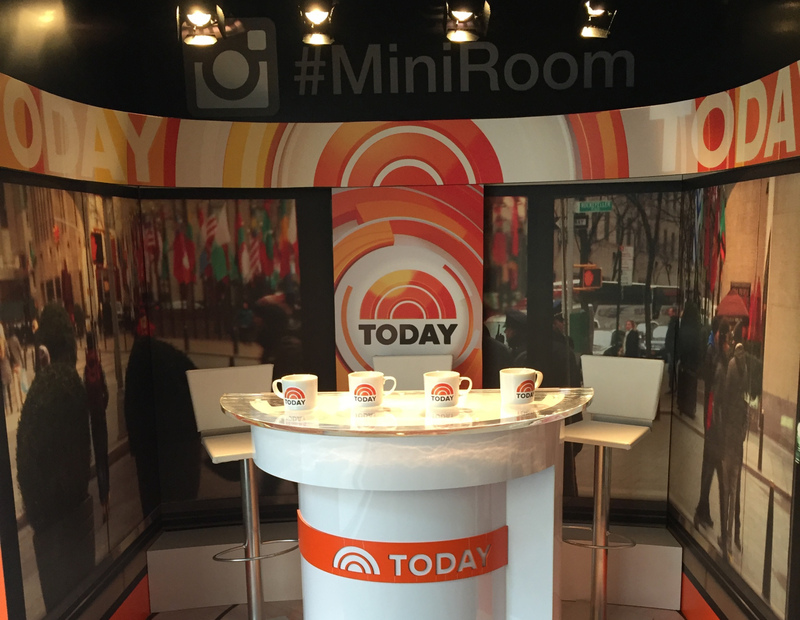 In addition, the show has built in a one-half scale replica of the “Today” anchor desk in what it’s dubbing the “Mini Room”(Orange Room, Mini Room, get it?) that will let guests snap photos for posting to Instagram, which is owned by Facebook. The “Mini Room” setup is rather pathetic looking — almost to the point where you’d expect Kristen Wiig to show up for an “Saturday Night Live” skit. 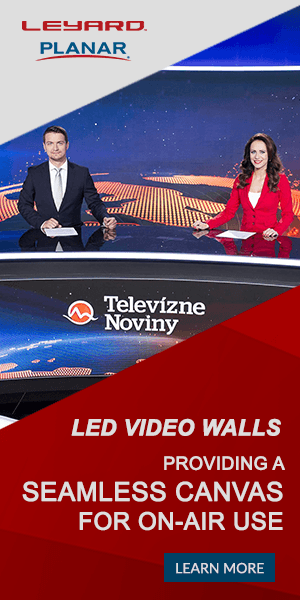 The area features a plastic-y and distorted looking anchor desk while printed graphics stand in for the plaza windows and LED video panels that surround the real anchor desk.